You know the drill: as the mercury rises, you rotate your wardrobe, swapping out wools and flannels for linens and cottons, dark palettes for light, coats for swimwear. It would make sense then, for such a routine to extend to what we wear on our wrists, but all too often this goes neglected, and we fail to alternate our watches in accordance with the changing seasons. 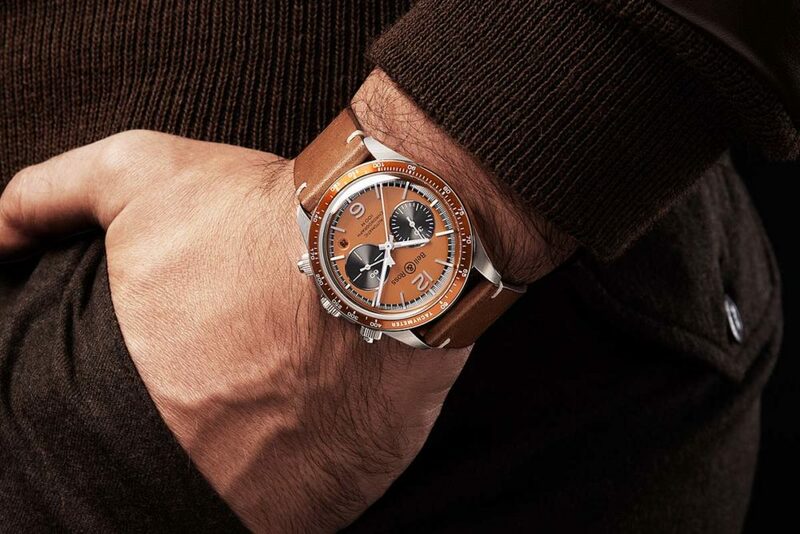 This summer, resolve to invest in a warm weather-appropriate watch that will pair well with your summer attire. If you’re not sure where to start, we’ve rounded up some options that will fit the post quite nicely. 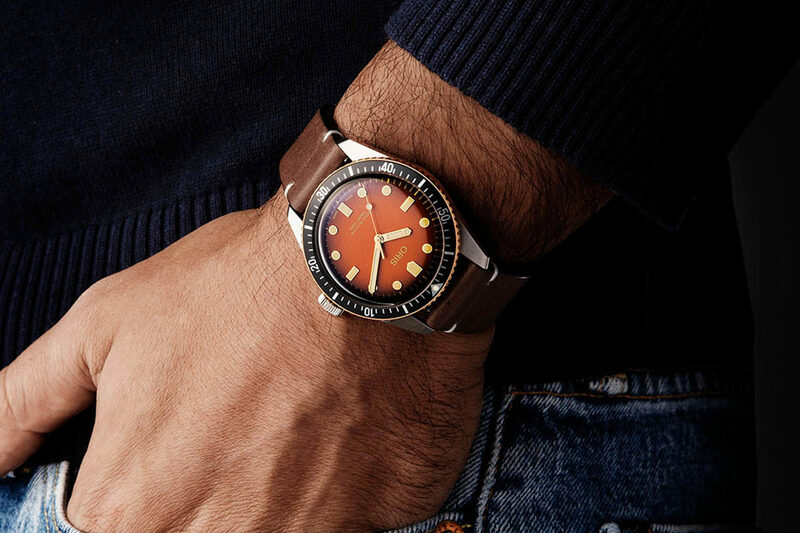 Taking its name from sun-kissed skin and the golden tones of summer, the Divers Sixty-Five ‘Honey’ - a collaboration between Oris and The Rake and Revolution - is the ultimate summer watch, guaranteed to incite nostalgia for long days and hot nights. 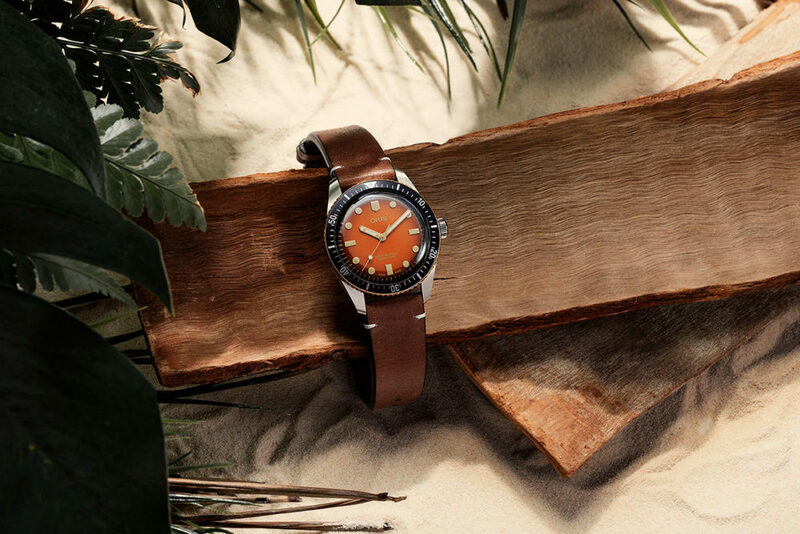 The timepiece fuses style and function, featuring a gradated hue of honey to dark brown, a brown leather strap with three additional NATO straps and a water resistance of 100 metres, so you can feel confident submerging into the sea. Together with Rado, The Rake and Revolution created our version of the HyperChrome Captain Cook "Ghost Captain" Limited Edition Dive Watch. 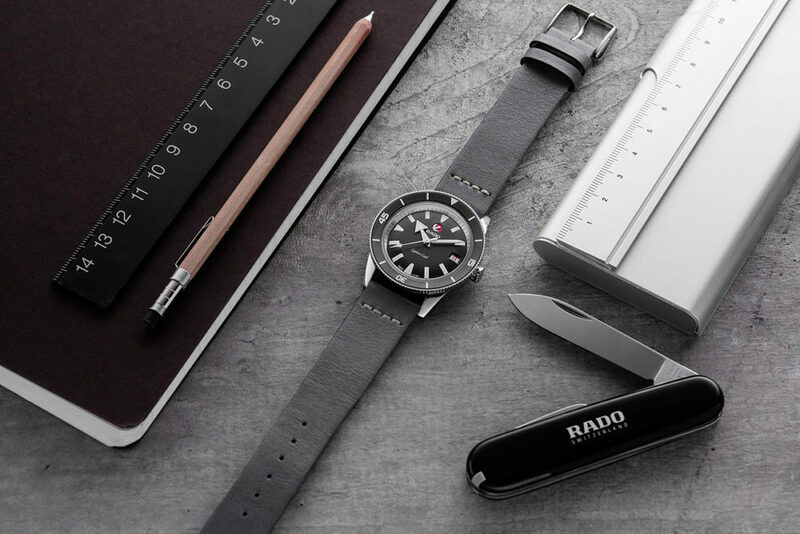 The result is a sleek timepiece that blends Rado’s rich heritage with innovation, retaining the 1962 Captain Cook’s perfectly proportioned 37mm case size and featuring a monochromatic colour palette of grey and white with a matching dial framed in a grey ceramic bezel. Pair with summer tailoring or a more casual ensemble of selvedge denim and sneakers. Inspired by the type of watches belly tank racers would wear in the '40s and '50s, the Bellytanker ‘Dusty’ Chronograph carries influences of military and aviation codes, stylised with thin hour indices, recessed counters, a stepped seconds track and retro typography. Rendered in a special stabilised bronze that exudes a rich intense yellow hue, it will pair nicely with vintage-inspired workwear and tones of olive green, khaki and tan. For a truly sophisticated summer watch, one can’t look Baltic’s HMS 001 in blue. 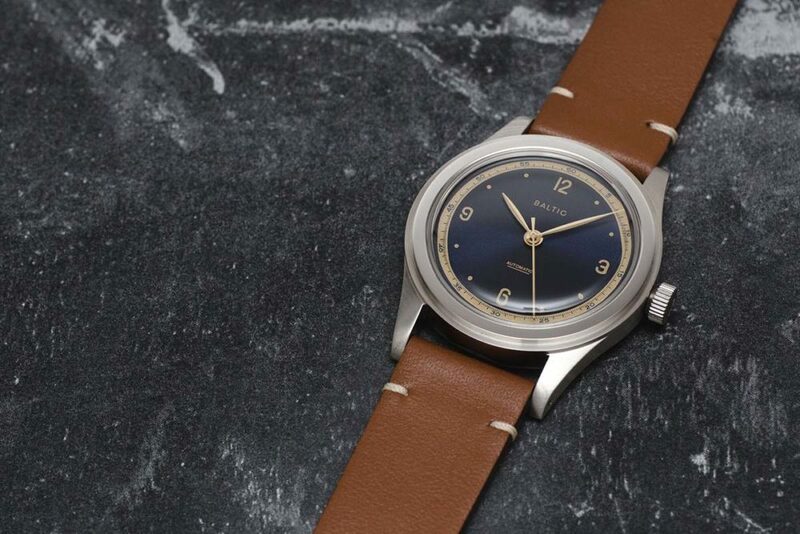 Taking inspiration from classic 1940s step-case watches, it blends vintage influence and sleek modern design, with an Italian calf leather strap, blue gilt face dial and gold-painted indexes, hands and railway. Its simplicity lends it to being easily dressed up or down: pair it with a suit, tie and Oxfords for a sleek business look or with jeans and a safari jacket for casual appeal. 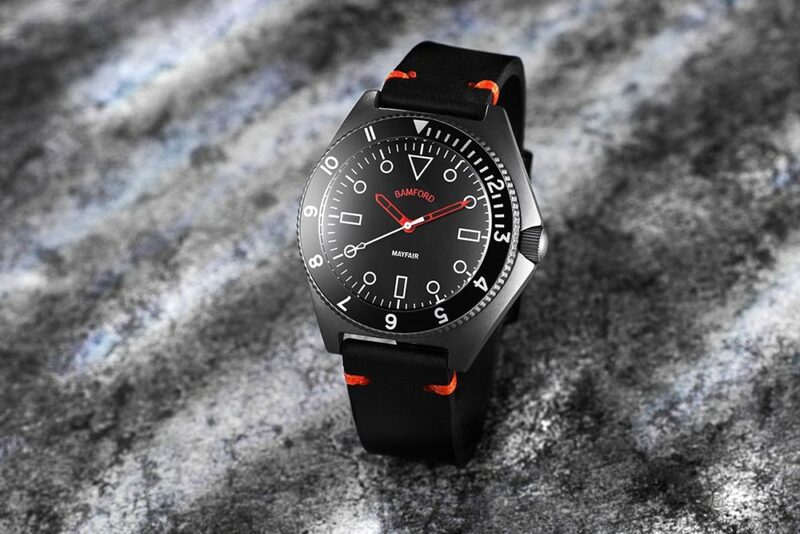 Bamford is renowned for its unique customised timepieces that marry elegance with modern engineering. The Mayfair collection adheres to this ideal: this particular model features a 40mm stainless steel case with a military grade titanium coating, a Miyota 2035 Quartz calibre and rotating ceramic bezel. With a sturdy rubber strap and water resistance up to 100 metres, it’s perfect for summer adventures. Wear it poolside with a chic pair of swim shorts and espadrilles.